A Little Bit of Quiet: Floral Friday - "Something Romantic"
Floral Friday - "Something Romantic"
What is its Botanical name? Where did I find them? At my local florist - love that place! What was I doing when I found them? Do they remind me of anything? How do they make me feel? Do they have a scent? They grow natively in warm regions of southern United States, Mexico, the Caribbean and northern South America. I wish they grew in my backyard (like last month's post)! How ADORABLE are those buds? Doing the perfect job at the tea party! So, although my first choice for my daughter's party would have been Peonies (I missed the season by one week), the "Lizzies" did not disappoint and were the absolute perfect complement to my daughter's very girly, very pretty, very feminine little party. And, I have found a new favourite flower! 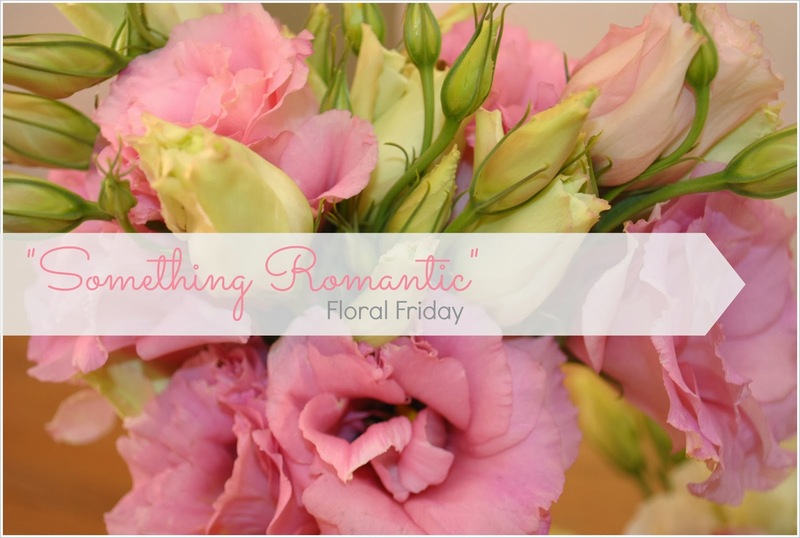 There are quite a few other bloggers joining Under Lock & Key's Floral Friday challenge so please do take a moment to check out the links below to see what the other lovely bloggers in this series had to say about their "something romantic" flower. Floral Fridays is a monthly photography project with different themes each month. This series is about fun and taking time out to smell the flowers. To play along, please email Trishie for next month's theme. I saw lisianthus at the florist last month and they were so pretty but only came in purple! I love the pink flowers in your photos. I would have brought them home for a party as well. I love lizzies! I had pink ones in my wedding bouquet and also as part of the centerpiece. Brings back such lovely memories of that special day. I had these in my wedding bouquet, I adore them! I think they're perfectly feminine and floaty. Love the pretty lisianthus and I saw some pretty mauve ones at the supermarket the other day. So pretty, I'd almost mistake them for roses but luckily now I'm more clued on :) Love the pink colour especially! Meeting you and visiting your blog has been a pleasure!